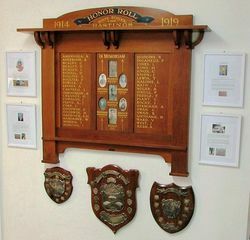 The honour roll includes photographs of those who died in service or were killed in action in the war. Hastings. Honor Roll Unveiled. Although Saturday, the 17th inst. was a bleak and showery day, a large number of children with parents and friends assembled at the State school to witness the unveiling of the school honor roll by Brigadier-General Brand, State Commandant. Punctually at 3 p.m. the General arrived and inspected a guard of honor formed by returned soldiers of the district. In the absence of Cr H. Unthank, the president of the Shire (Councillor Hoban) introduced Brigadier-General Brand to Hon. Alfred Downward, M.L.A., and Major Conder, all of whom delivered stinging speeches. Dr Griffith also occupied the platform with the above-named gentlemen. 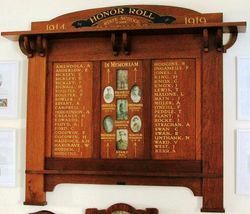 In the course of General Brand's address he paid a touching tribute to the memory of the boys left behind on the other side saying that the highest honours of all were gained by those who had made the supreme sacrifice. 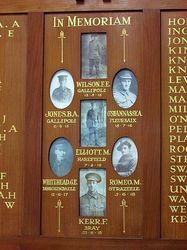 A man might win the Victoria Cross or the Military Cross by risking his life, but he who gained the wooden cross had given his life, and there the greatest honor lay. After the ceremony the large crowd of children and grownups did fill justice to the afternooon tea and good things provided by the school committee and many willing helpers. 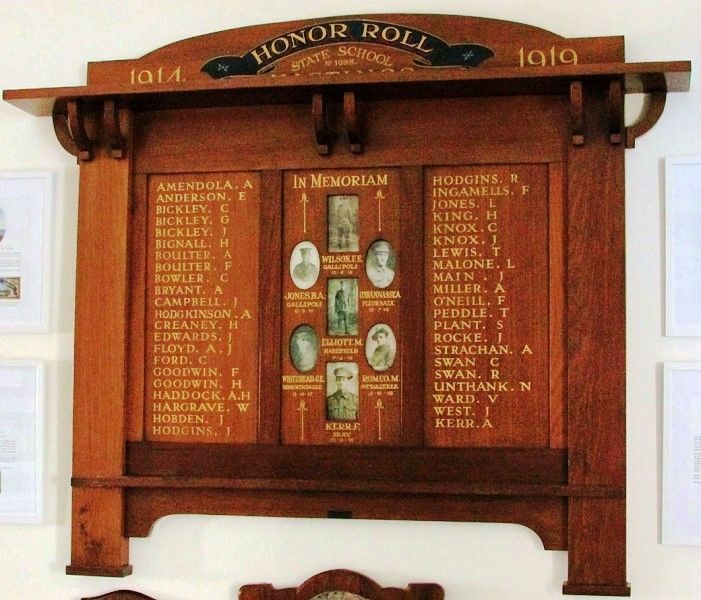 The school rooms were very tastefully decorated for the occasion by Mr Nicholas and staff with the assistance of the pupils, but a good deal of disappointment was expressed at the absence of the Band, which, we understood, was unable to give its services on this occasion. The energetic kindness of Major Conder in assisting in many ways to make the function a complete success is much appreciated. Mornington Standard (Frankston, Vic), 23 April 1920.